WNY Mixed Martial Arts & Fitness is committed to making our community safer through a strong self-defense program. Self-defense skills are essential for everyone. Attackers typically go after people who look like easy targets. But when you have the skills to protect yourself and the people you care about, you won’t look like an easy target. Instead, you’ll carry yourself with awareness and confidence. We offer a variety of options for self-defense. These include Brazilian Jiu-Jitsu, women’s only Brazilian Jiu-Jitsu, as well as a wide range of striking classes. Our fitness classes also help you get into shape so that you’ll feel even more confident. 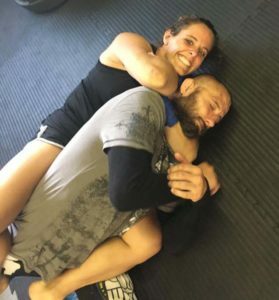 At WNY Mixed Martial Arts & Fitness, you learn self-defense that takes you well beyond what’s typically covered in self-defense seminars. So, give us a call today and set up a free introductory private lesson with us. We can help you be confident and prepared.